The Bukit Timah Railway Station and area around Jalan Asas are important nodes along the Rail Corridor due to their historic significance and accessibility by the public. 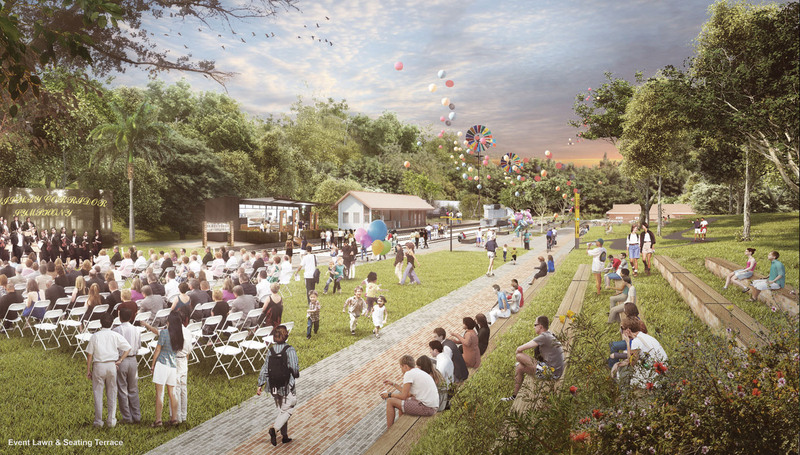 The project aims to stitch the Railway heritage, environment and community together through sensitive restoration of existing buildings and adaptive reuse of the railway tracks and sleeper, revitalize the existing landscape and creating open plazas for community events. 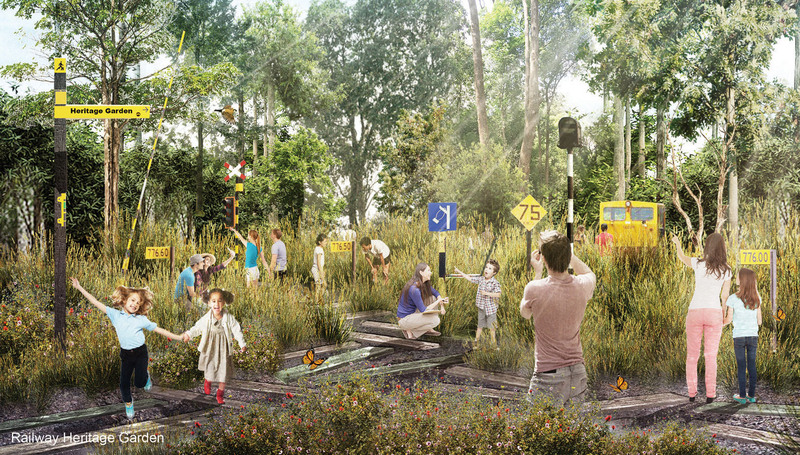 The Rail Corridor, formerly a railway that was used for the purpose of commuting and transporting goods, will not be the longest continuous public space where the communities celebrate the railway heritage, generates biodiversity and forge new memories. Located along Upper Bukit Timah road, Jalan Asas was once an area nearby an old factory and industries. The site now stand a long-time landmark of an iconic truss bridge, adjacent to Fuyong Private housing estate. Rows of hoses facing the main road has been converted into Rail Mall providing a stretch of shopping and dining experiences. Located behind the site is a small pocket park serving Fuyong estate residents. 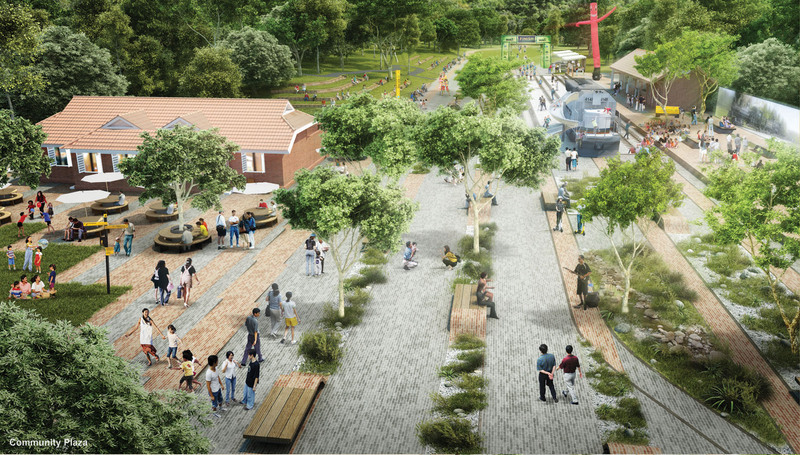 The site also serve as a gathering node to explore nearby interest points such as the Dairy Farm Nature Park, Singapore Quarry and Rail Corridor. 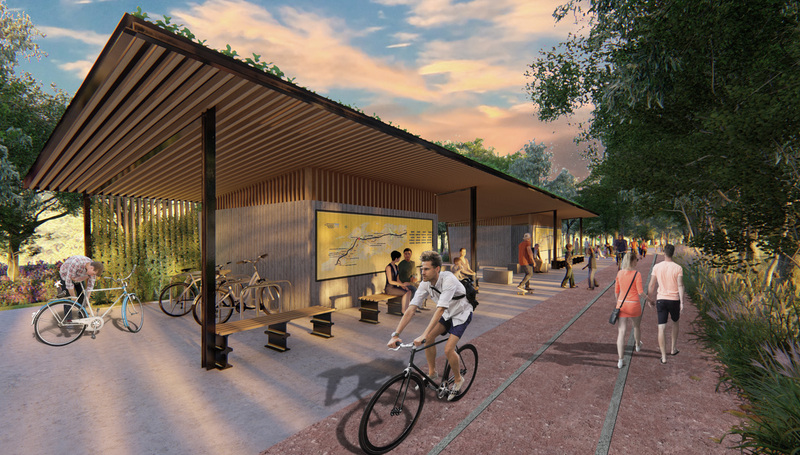 Our Vision for the design of Jalan Asas is an easily accessible community space with a strong sense of identity to its current surrounding context and its historical past. Presently, the site is associated with the Truss Bridge, Rail Mall, Singapore Quarry and Fuyong estate. The design tie these elements together with the provision of variety of functions for visitors and residents. Seating terraces are integrated into the existing slope to form leisure gathering spaces in front of existing shop houses, to provide visitors a place to pause and reflect, to gather and bond with each other and nature. A shelter is provided in the design proposal to provide a resting place for the visitors. Amenities such as bicycle pump station and restroom facilities encourage an occasional passer-by to pause at this location. The exploration garden, situated away from the busy road, is a memorable place to the history of surrounding site. It is also a gateway link to the Singapore Quarry. Bukit Timah Station Garden is an important node that serves a community connector linking amenities and programming on site for community usage. The primary path, easily recognizable through seamless brick paving, are designed to be pedestrian and universally friendly. 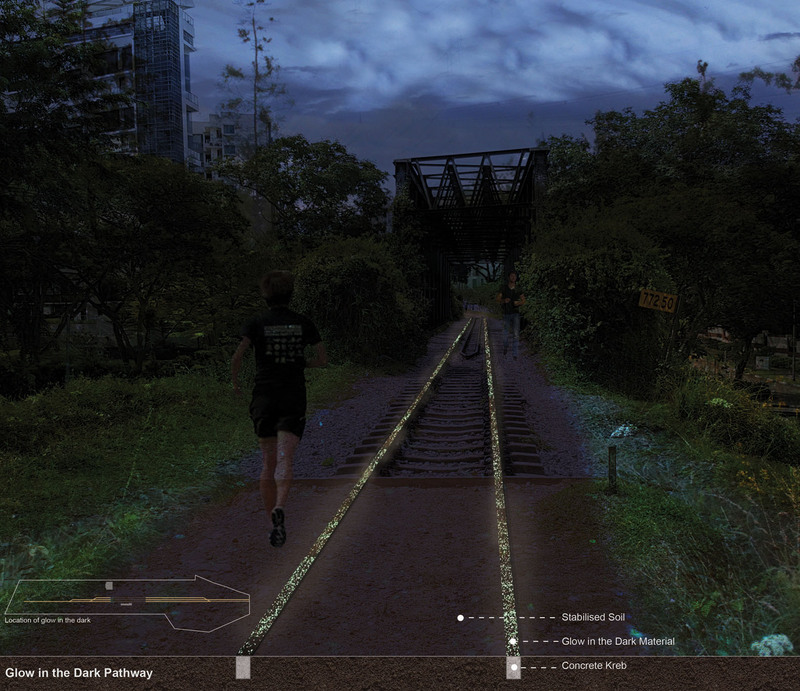 The old railway route is proposed to be rebuilt with recycled railway tracks and reconnected to the existing railway tracks with glow-in-the-dark features added onto the strips. A series of green pavilions mark the entrance of the Bukit Timah Station Garden. The pavilions consist of thin green roof slabs and vertical I-shape steel columns that resemble the railway tracks. These open pavilions can be assessed through all directions, hence improving accessibility and encourages foot traffic. Visual connectivity is also encouraged by the porosity of the green pavilions design, allowing activities happening in the heart of the garden to be highly visible. These pavilions also provide a waiting area with information of the garden – its history and its surrounding – for the occasional passer-by by foot or cycle. 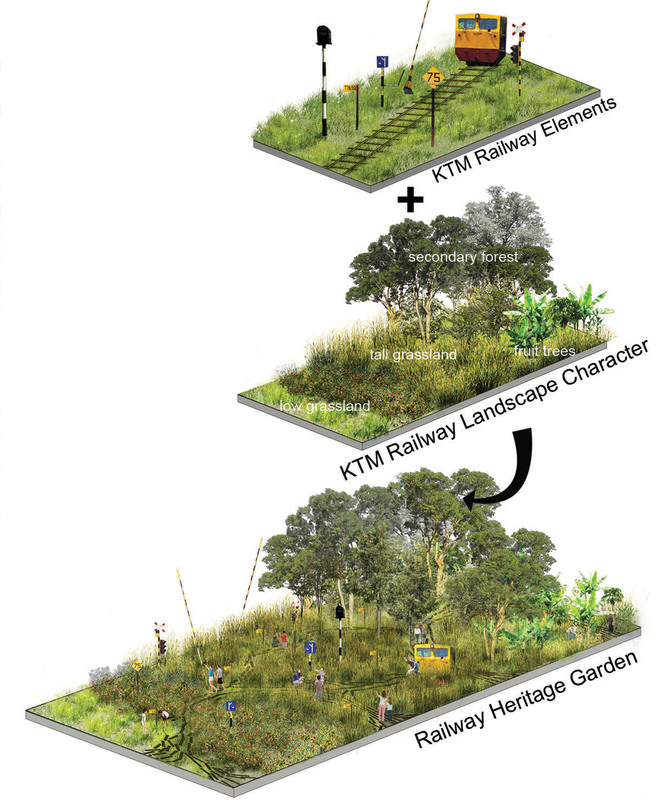 Stretching from the far north to the south of the island, the land occupied by the 26km former railway corridor brings one through a variety of natural landscape typologies in Singapore. The railway heritage garden here is not limited to the landscape in Bukit Timah Railway Station. Walking through the meandering pathway constructed with recycled railway sleepers, the design intent is to showcase a curated garden with key railway elements and transition of different types of the landscape found along the entire railway corridor. The opportunities the site present for addressing certain sociological and urbanistic demand has long been recognized as critical to the social and cultural visibility of the region. The community programs on site are central around tree themes – Heritage, Community and Nature to provide inclusive and engaging public spaces. 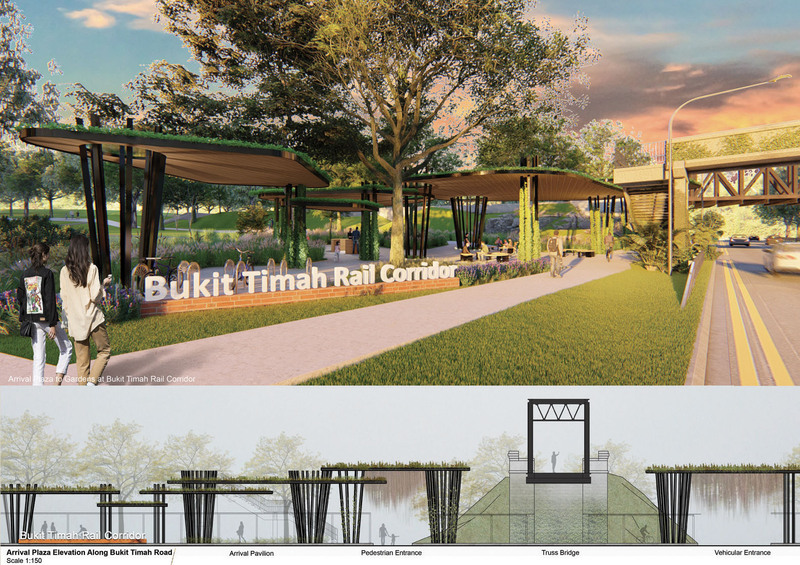 The large expanse of open space in Bukit Timah Station Garden provide opportunities for multifunction and flexible public active spaces for different groups and users. 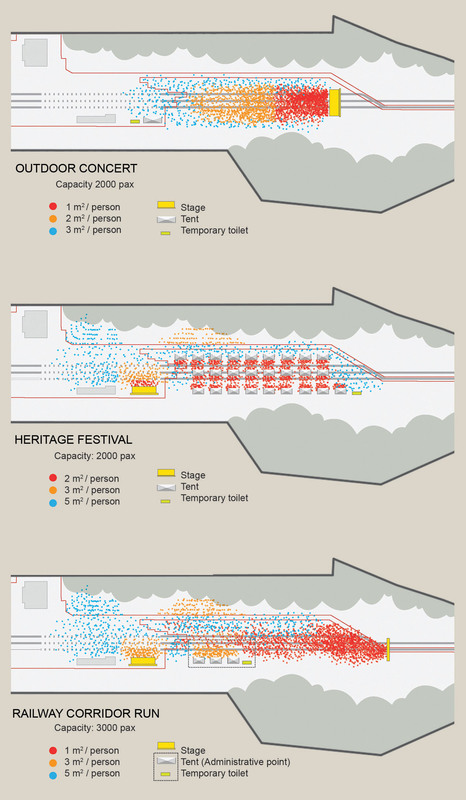 The events lawn allows a variety of events to be held such as Outdoor Concert, Railway Corridor Run and Heritage Festival. 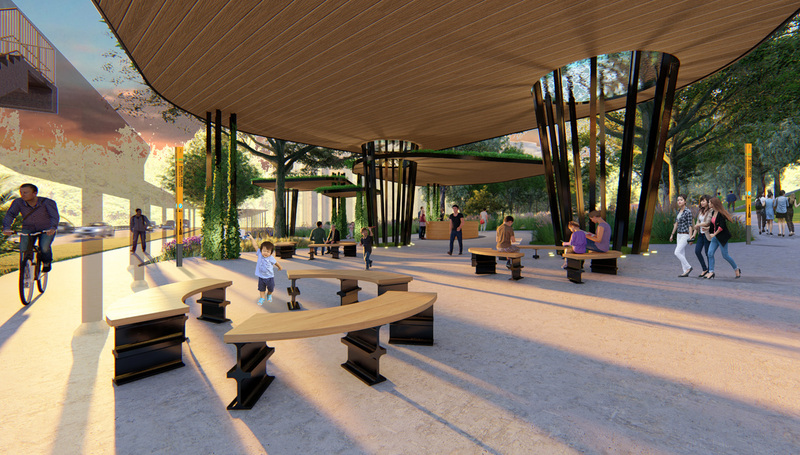 The adjacent designed terrace seating and community plaza acts a large stitched outdoor space which allows spillage to capture a big crowd during large scale events.